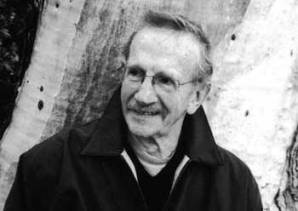 A short biography and information about the politics of American anarchist poet, Philip Levine. Philip Levine was born in the industrial city of Detroit to parents of Russian Jewish origin in 1928. Detroit was the home of Father Coughlin, a notorious anti-Semitic Catholic priest who broadcast on the radio every Sunday. He spent most of his childhood and adolescence fighting people who wanted to beat him up because he was Jewish. Identifying with anti-fascism, he progressed to a discovery of anarchism, and in particular Spanish anarchism. Spanish anarchism and anarchists are a recurring theme in Levine’s poems. Perhaps surprisingly, the United States has been the home of a number of poets who have expressed anarchist ideas in their works, such as Kenneth Rexroth. But then again, there were strong traditions of immigrant anarchism among Jews, Italians, Spaniards and Russians. There was the radical workers organisation, the Industrial Workers of the World. There is the libertarian tradition among intellectuals, dating back to Thoreau. And there is a bohemian tradition, often interconnected with these other movements which above all had its home in San Francisco and Greenwich Village in New York. Levine was educated in the state schools and at an early age had to take jobs in the factories of Detroit. Many of these were badly paid, unhealthy and unsafe. The conditions of working life and the way people survive them, and are effected by them is another recurring theme in his poetry. He has been called the poet of the proletariat by one critic, and indeed there are few others who deal with factory life and can replicate the experience of it as Levine does. He began to write poetry while he was going to night school at Wayne State University and working days in the car plants. Levine has written 16 books of poetry. In the first two On the Edge (1963) and Not This Pig (1968) Levine deals with those caught up in situations not of their own making. In Animals Are Passing From Our Lives the pig about to be sent to the abattoir intends to keep its dignity, no matter what, as if that was some sort of victory. Wage labour turns everything human into a commodity, the poems illustrate, and they are often harrowing in their depiction of working misery. This is further expanded upon in Levine’s third book They Feed, They Lion (sic). Levine picked this phrase up from a black workmate in Detroit and in the title poem - his most fiery - he deals with the seething anger and foul conditions and racism that led to the Detroit riots of 1967. A subsequent book of poems The Names of the Lost is dedicated to the Spanish anarchist Buenaventura Durruti “and the world he said is growing here in my heart this moment”. One of the poems Gift for a Believer is for the Anarchist artist Flavio Costantini and deals with the lives of many fallen anarchists which have been used by Costantini as subject material for his paintings. Another, For the Fallen talks about a visit to the Montjuich cemetery in Barcelona where Durruti, his comrade Ascaso and the libertarian educationalist Francisco Ferrer are buried. Eternity with only a stone. Breaths someone will gasp it home to their lives. In Search of a New World: The Anarchist Dream in the Poetry of Philip Levine, by Robert Hedin in American Poetry (1986). Please check out the entry on the poet Philip Levine. It contains grammatical errors and includes a section in which a segment of a poem and a prose part of the biography are run together as a poem. An in-depth look at the activities and ideology of the British Black Panther Movement in London, and the influence which the experiences of the American Black Panther Party had on them. Workers fight for wage increase at FagorMastercook in Poland, part of the Mondragon capital group.